Added capacity to Allocate Student Subject Teachers based on Time Table entries in the Fixed Lines. PCSchool previously supported the allocation of these teachers based on the Time Table itself, however in schools where the time table is not actually stored in PCSchool, this new facility enables schools to allocate subjects to students at the end of the prior year, and then update these records automatically with the teachers once these have been finalised at the start of the current year. Expanded the Filter options in Time Table Display. 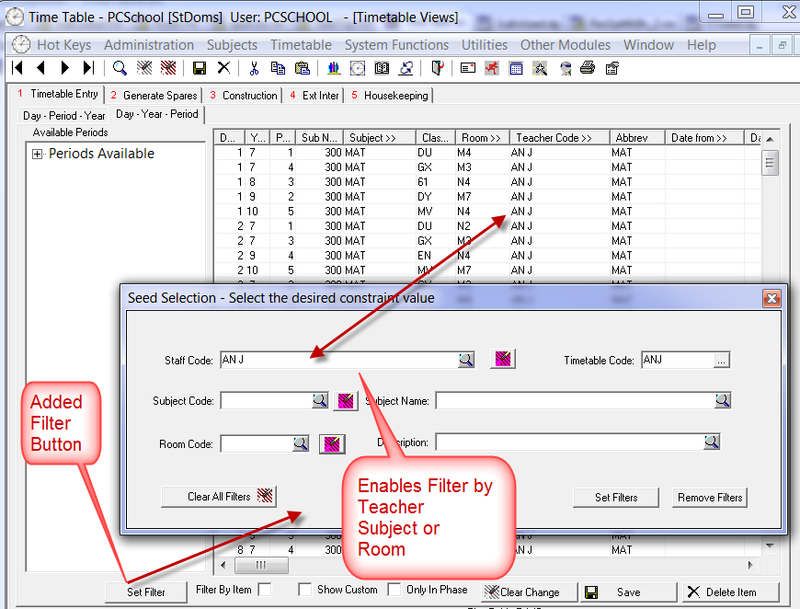 PCSchool has added the ability to construct display filters to the Time Table based on a single Room. 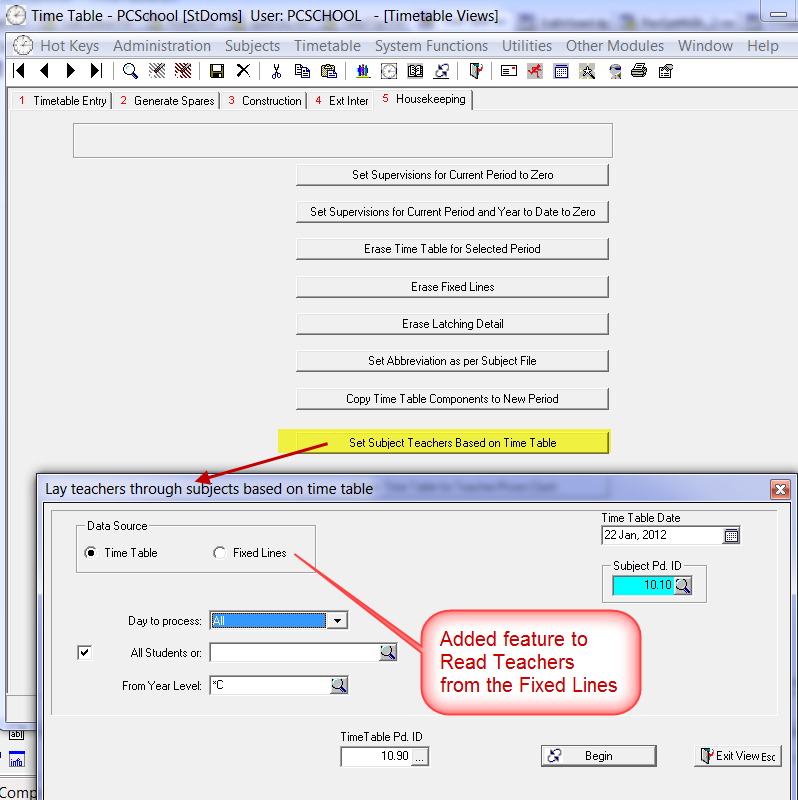 This feature adds to the present Display filters of Subject and/or Teacher. 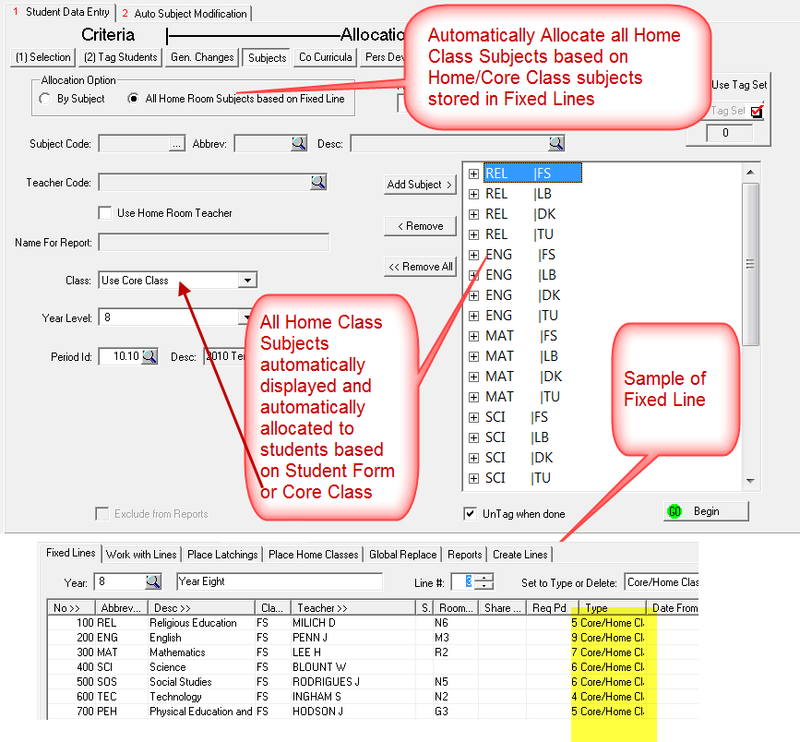 Allocate Home Class Subjects to a selected group of students in a single pass, based on the subjects identified in the Fixed Lines as Form/Home Class Subjects. This enhancement significantly reduces the time to allocate the range of Home/Form subjects to all students in a year level in a single pass. The source of the subjects is taken from those already stored as Form/Home Class Subjects in the Fixed Lines. As the routine processes the specific student their Home or Core Class are matched against the subjects in the fixed line. Where the class is matched then the subject is assigned. This entry was posted in Timetable and tagged Classroom Management, school administration software, School Administration System, School Management Software, School Management System, Student Information System, student management Software, Student Management System by studentmanagementsoftware. Bookmark the permalink.